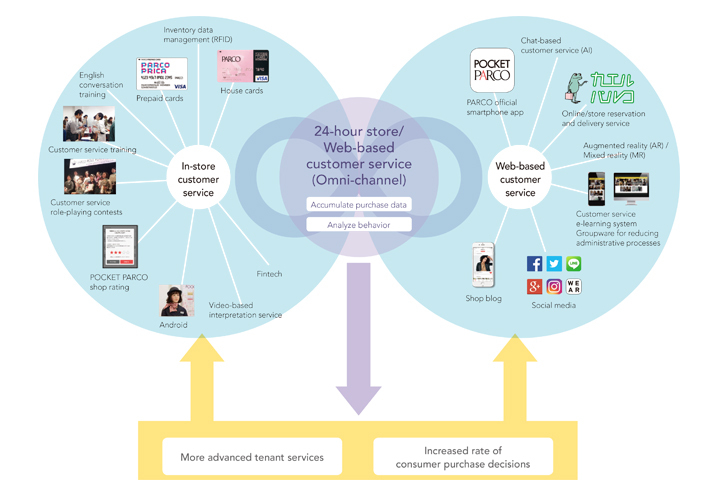 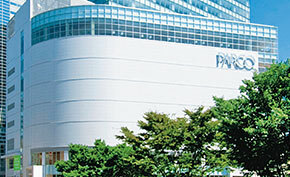 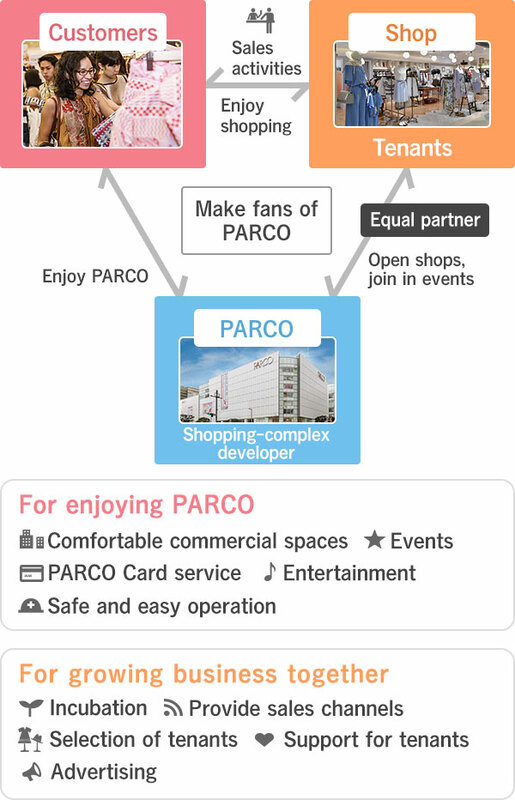 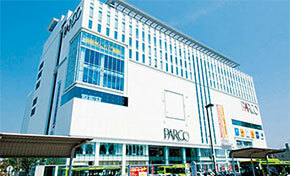 PARCO makes agreements with tenants whereby PARCO takes responsibility for attracting customers and running promotions, while the tenant handles sales activity. 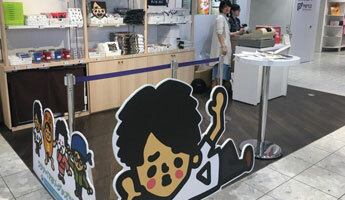 By working across Japan to create commercial spaces where people can gather and have fun, we are winning the support of customers and developing a firm customer base. 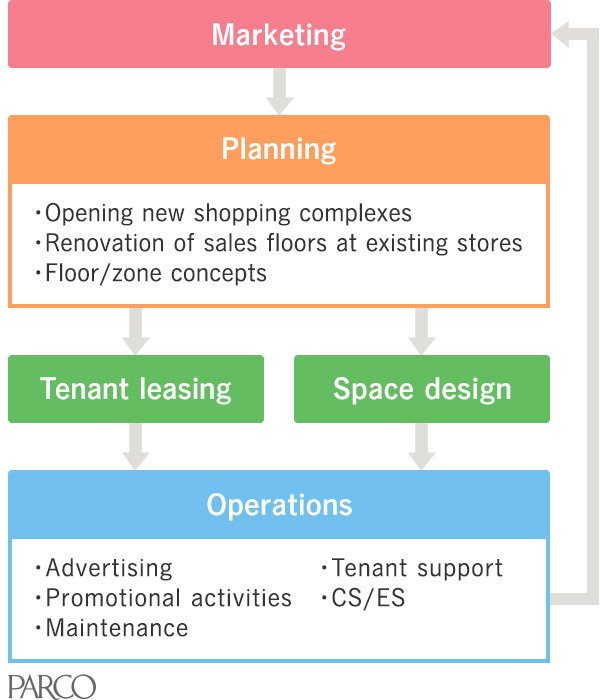 The production of shopping complexes involves marketing in the area of the store, planning the building from the proposal stage onward, the selection of tenants and design of environments that fit the concept, and the store's management. 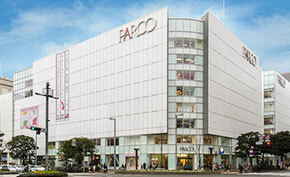 At the same time we enhance a plethora of publicity and promotional activities and through our management of daily maintenance, support the safe and easy operation of shops. 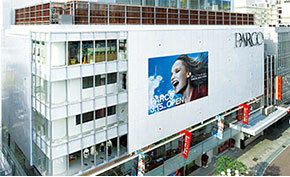 In addition, we are constantly creating fresh sales spaces by promoting their remodeling.